Our little fella is over a month old now! He's been growing and changing, and we're still getting to know each other and learn how to do this newborn mom thing again. James was 8 pounds 1 ounce when he was born. He was 7 pounds 11 ounces three days later. At about 3-4 weeks (I can't remember when we weighed him), he was 9.8 pounds. Now (at 5 weeks) he's 11.2 pounds! He's definitely a growing boy. He's still in the erratic newborn stage, so he doesn't have a consistent schedule at all. I'm nursing him on demand, and he usually wants to feed at least every 2 hours. So, if I start nursing him at 10:00 in the morning, he might finish at 10:30, and I'll be nursing him again at least by 12:00, but more likely by 11:30. It feels like he wants to eat all the time! Though in the last week he's been a little less demanding. It's also unpredictable how well he'll sleep at night. He slept for 6 hours in a row the other night. But last night was horrible - he tossed and turned most of the night and wanted to feed very often. I got such poor sleep. 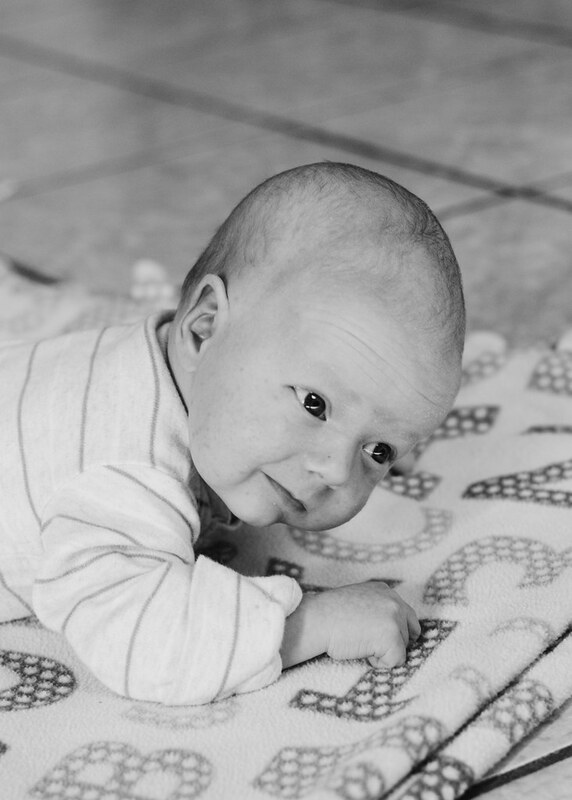 He doesn't mind tummy time too much - he'll lay contentedly on a blanket for a few minutes at a time. He can pick his head up fairly well, though he won't always do it if he's feeling lazy. 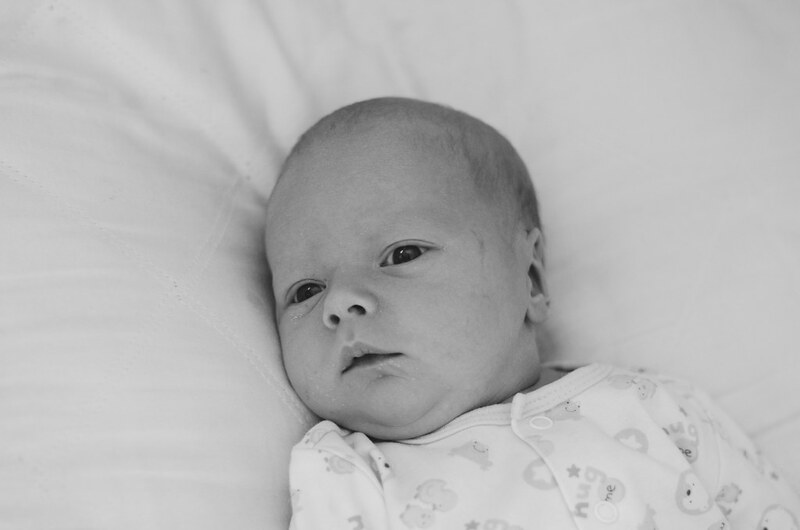 James started out as a very content baby, but he got a bit more fussy at around 2 weeks. He started having a "fussy time" in the evening. In the last few days he's mellowed out a bit. And he's definitely not as bad as Helen was. He doesn't spit up very much (again, nowhere near as bad as Helen did). Though that makes us complacent and we don't have a spit rag handy at all times. We're unprepared parents! Augh! Also, he has a fairly severe tongue tie. We're still considering if we should get it corrected. He's nursing well and has a good latch, so our midwife advised us to just leave it. But we're a bit worried that it will interfere with his speech later on. I'll have to do more research, considering, and praying. 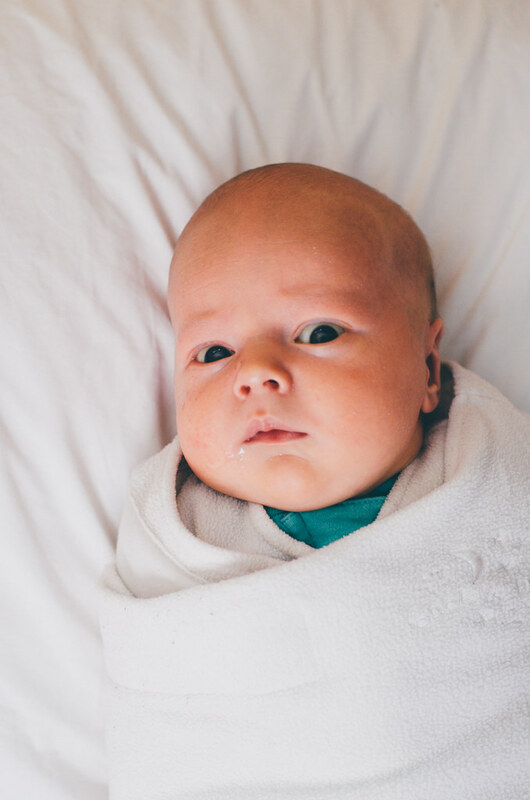 So there's a James' 1 month update! I'm definitely not a fan of the newborn stage. Here's looking forward to more normal days ahead! What a cutie! 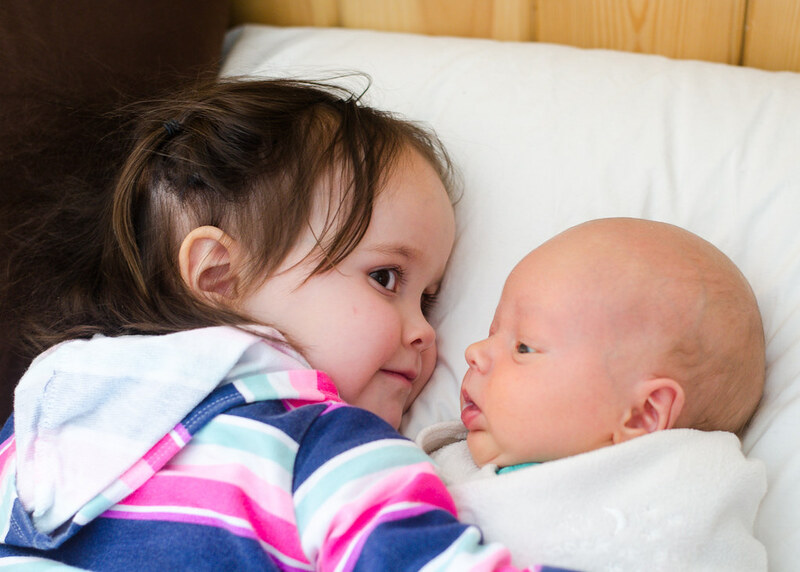 Love the picture of big sister Helen with her brother those are priceless! Hang in there it should get better as James and you all adjust to each other. Hoping for more restful nights ahead. How sweet!! I hope you can get more sleep! 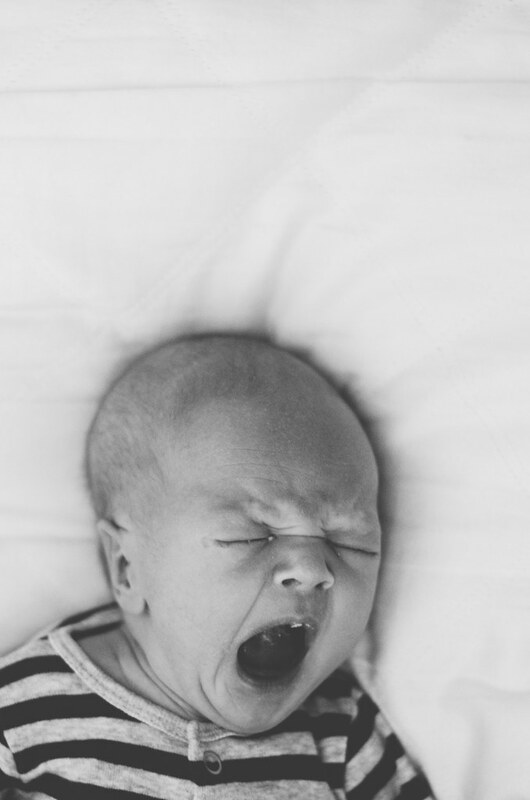 Newborns have such crazy sleep schedules! Praying for you guys - sounds like a ton of craziness. 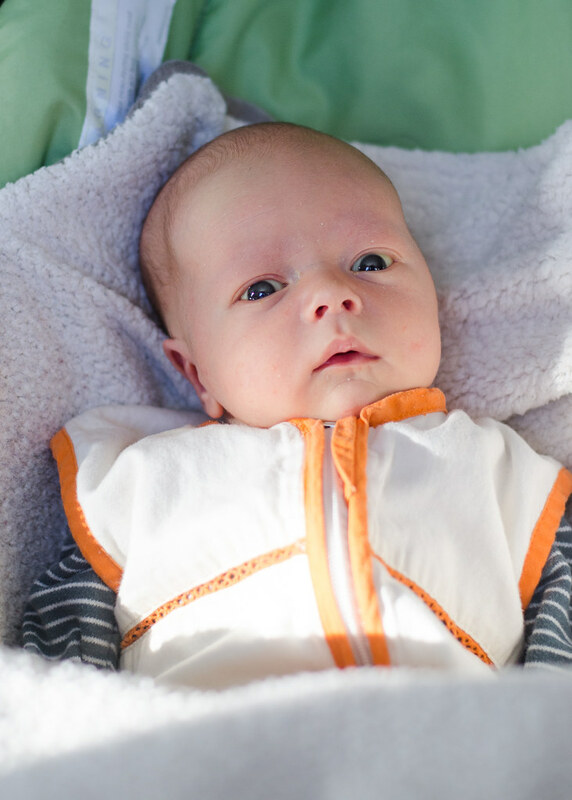 We had the same fussy time experience with our little guy...around two weeks and it's getting better now (he was born February 18th). He also had a severe tongue tie and upper lip tie, with no impact on nursing (but I have a lot of milk). We did choose to get it reversed, partly because we are in NYC and have access to great resources (Dr. Siegel did his with laser) and partly because my aunt is a speech therapist and recommended it. I didn't want to have to do it when he was aware later. Our midwife recommended it, pediatrician said it was totally unnecessary...obviously did it anyway!